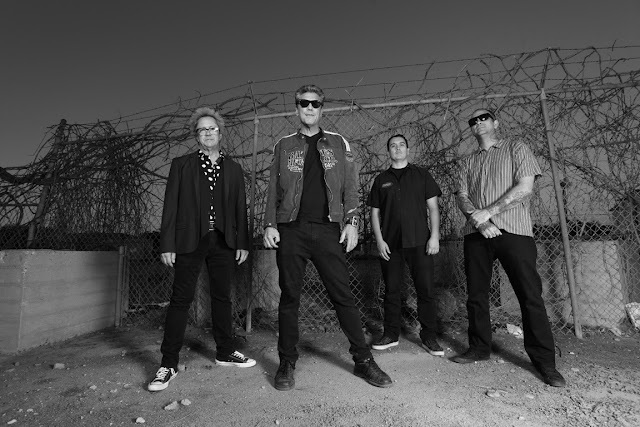 Seminal Southern California punk rock band CH3 are debuting a new "lyric" video today on The Hard Times. In detailing the clip for the band's politically-charged track, video producer Jay Lansford explains, "The idea was to create a promo clip to enhance the lyrics to the song without using written text. Proper signed language uses a combination of hands, arms, and body movements, as well as facial expressions. This is more of a choreographed performance using elements of signing, mime and commonplace hand gestures set to music, as opposed to a word for word translation. One camera, one shot - no cuts." 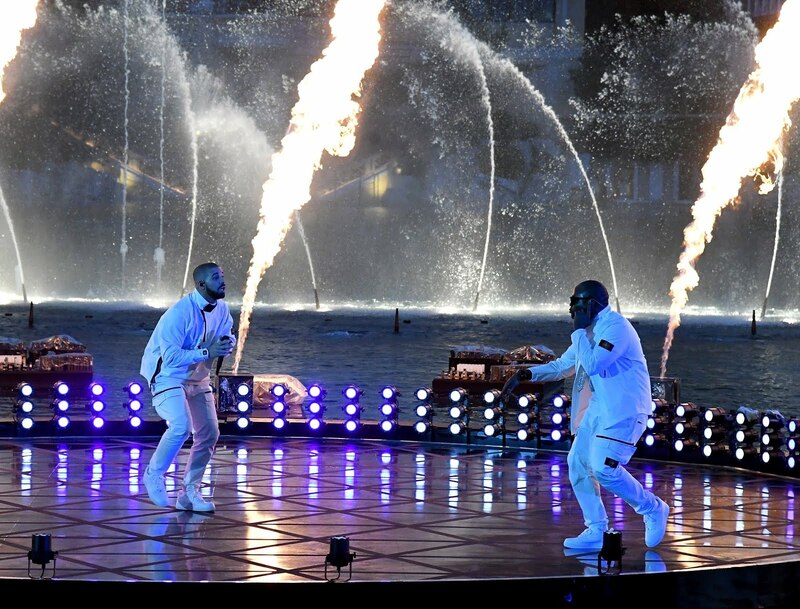 Lansford adds, "The song begins with the two pairs of hands showing their obvious similarities before their differences become noticeable and struggle ensues. As the story develops, both pairs discover that they have much in common and by the end they undress and copulate. Love your neighbor as yourself." Last month, in tandem with an appearance at Punk Rock Bowling, the band announced an August 18th release for 'Put 'Em Up', their first complete album of news songs in over 15 years. CH3 will be playing a series of shows this summer and fall, including a stint at It's Not Dead Festival 2 on August 26, alongside Rancid, Dropkick Murphys, Buzzcocks and many more. 'Put 'Em Up' was produced by Jay Lansford (Agent Orange) and features artwork by esteemed artist Lucky Nakazawa. The album will be released via all digital retailers and on vinyl through TKO Records. Taking small-format mixing to the next level for both professional and novice users alike, QSC is pleased to introduce Version 3.0 for the TouchMix-8 and -16 Series and Version 1.2 for the TouchMix-30 Pro. The new firmware is available as a free download for current users and will be factory-installed in new production units going forward. Ability to configure Aux 7/8 and Aux 9/10 as balanced, mono outputs (TouchMix-16). QSC loudspeaker tunings are also present in Version 3.0, including presets for our new K.2 Series powered loudspeakers. An update to the TouchMix Control app for iOS and Android devices is also available at those applications’ respective app stores. Berlin, June 21, 2017 – Native Instruments today released KINETIC TOYS, a new instrument for creating evocative leads, ethereal sound beds, rhythmic musical parts, evolving loops, and unconventional sound effects. 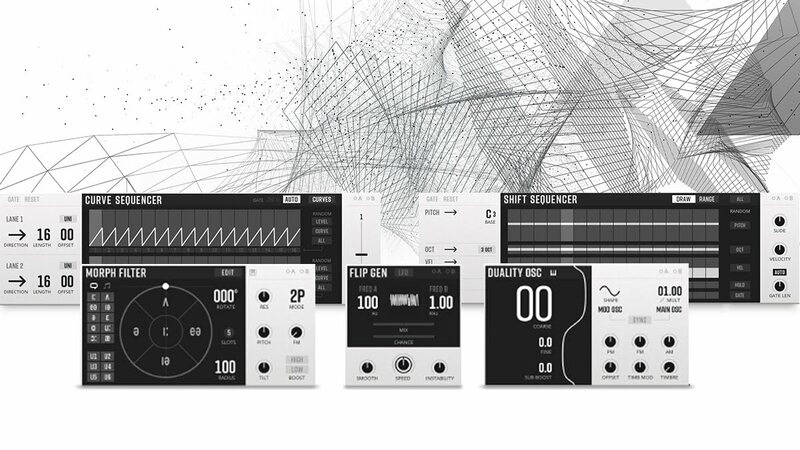 KINETIC TOYS is the full-sized version of Native Instruments’ winter gift, KINETIC TREATS. KINETIC TOYS features over 200 individual sound sources – including a wide variety of well-known and unusual children’s toys, games, and even snacks. These are combined with custom synthesized tones, to create musically tuned, playable hybrid patches. In total KINETIC TOYS features 3.5 GB of all original content, including 670 sounds split across 35 themed NKIs. 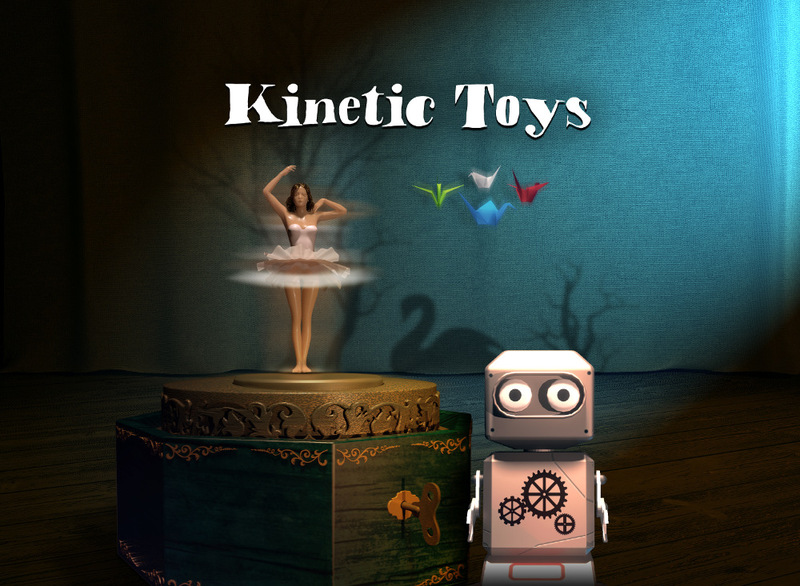 KINETIC TOYS is made for creative sound designers and producers seeking soundscapes and unusual lead sounds that naturally stand out in a busy mix. Two custom X-Y matrices are used to control the sound mixer and the onboard FX. One takes the form of a dancing toy ballerina, and controls up to sixteen sounds sources simultaneously – eight sampled and eight synthetic. The second is shown as a toy robot, and controls up to eight user-selectable effects. Both X-Y controls can be controlled manually, or with three different forms of automatic motion. Speed can be freely assigned, synced to project tempo, and even set independently for the X and Y axis. These motion controllers can themselves be modulated by an LFO or envelope. KINETIC TOYS was created in collaboration with sound designer Jeremiah Savage. For over a year, Jeremiah scoured shops and markets (and his own attic… ) for the sounds and toys of his childhood, discovering a few new ones along the way. Jeremiah has worked with NI in the past on the well-received and highly-acclaimed KINETIC METAL, KINETIC TREATS, and more. Detroit, June 19, 2017— Wallace Detroit Guitars, a Detroit-based guitar manufacturer that creates unique and timeless instruments out of reclaimed wood from local landmarks, announced its limited edition Brewster Wheeler Series is now in production. The new line of exclusive instruments are constructed of wood harvested from the historic Brewster Wheeler Recreation, which was frequented by many Detroit legends including music artists Diana Ross and the Supremes, boxing Joe Louis and many others. The Firehouse Series instruments — which are available now — are constructed of salvaged pine and maple from the storied building’s floorboards. The first release on our website was the Ned Rush Audio Collection, so it seems rather fitting that to coincide with us transferring our webstore over to a new ecommerce platform that we mark the occasion with the final update to the second part of the Audio Collection, Ned's FX Pack! Consisting of five MaxforLive Audio Devices, we think the line up is pretty solid! Autotune is autotune on the cheap! 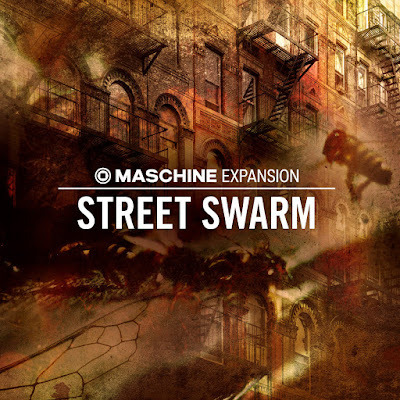 If you really want the now timeless gimmick of robot tuning over your RnB hit, or if you simply want to experiment with tuning textures into drones to resample into epic pads and homemade synth tones, and can’t afford the real deal, then this MaxforLive device could be for you. You can tune to scales, or single notes, and the results are stunning. Tip! Stack them up in effects rack on separate chains to create rich soundscapes. Relive the 60s or go swimming in this glitchy acid wave of pitch shifting delays and smudgey reverbs as your sound flies away into a big sea of grainy clouds and psychedelic swoosh. 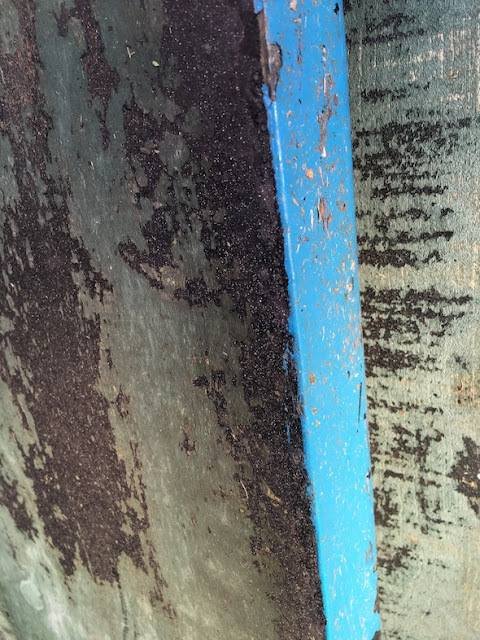 It’s Dirty, it’s an Echo, there’s not much to say on this one, it’s best to hear it in action! Wobble is still cool right? Sure it is, but this does more. Its not only a step sequencing multi filter which sequences not only the filter type, but also the modulation curve, its also a sampler. Growl is a autotuning, pitch tracking comb filter and sound generator with quantized note scaling. 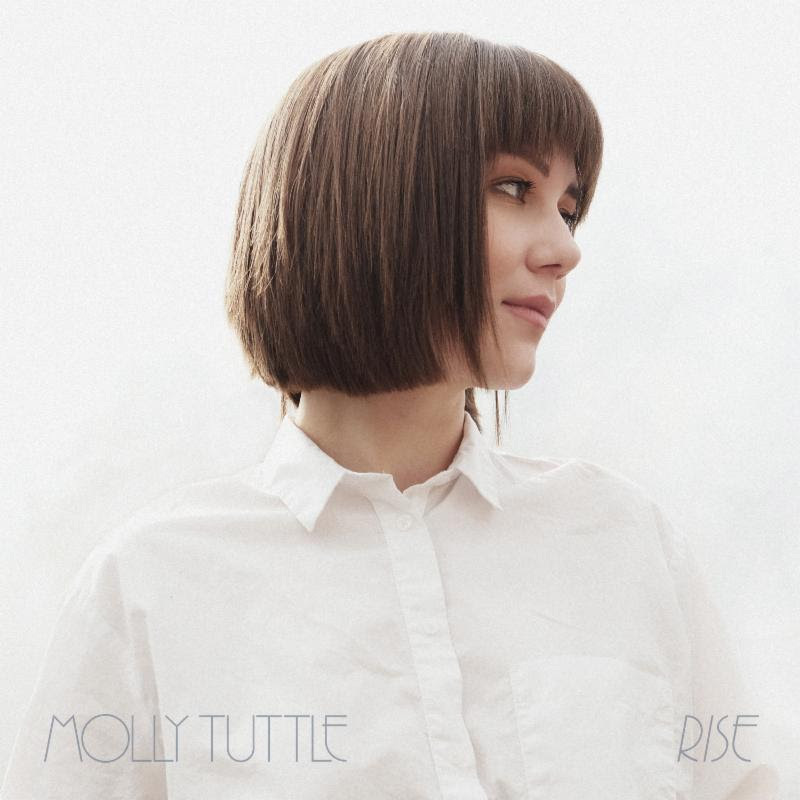 Nashville, TN -- June 15, 2017 -- Award-winning songwriter and virtuoso instrumentalist Molly Tuttle turns a new corner with Rise, her debut as a solo artist, which hit #2 on Billboard's Bluegrass Albums chart this week. Produced by Kai Welch, the seven-song EP was independently released on June 2nd, and celebrated with a sold-out release show at Nashville's Station Inn on June 3rd. El Granada, Calif. — Great ideas show up on Kickstarter all the time but few of them ever go anywhere (as many a frustrated contributor can attest). One notable exception is StompLight®, the world first fully self-contained sound-responsive stage lighting effect pedal now with the addition of DMX512 protocol. 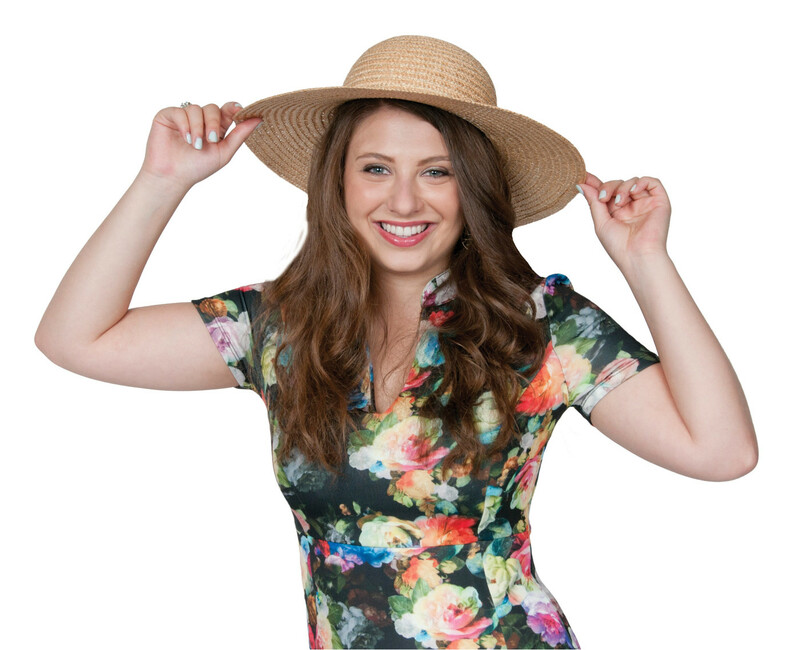 The company has fulfilled its Kickstarter promises, added Dealers and is now selling directly to consumers online, much to the delight of its supporters — and the irritation of its competitors. 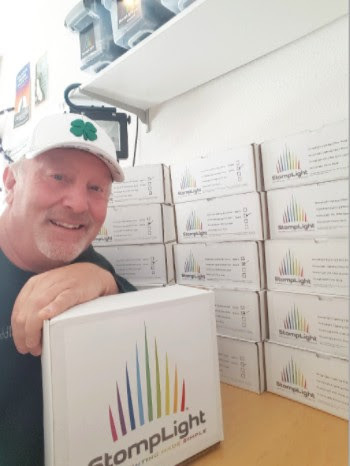 For any soloist, band, or mobile DJ that’s ever wished they had their own lighting director, StompLight’s simple solution has appeared like a dream come true. The patented device creates an array of lighting effects in the familiar, easy-to-use form factor of an effect pedal. Excitement around the device has been building up online and at trade shows over the last two-and-a-half years as the inventor, musician Michael John Ahern, has crisscrossed America demonstrating the prototype. StompLight will be demonstrating its products next month at Summer NAMM booth 1700. The company recently signed a distribution agreement in the U.K. and is looking at additional distribution opportunities in North America and abroad. StompLight is the ultimate stage lighting hack. The StompLight Power Bank enables performers to rehearse or perform anywhere with or without AC power. The StompLight® DMX Pro effect pedal is simple to use and its companion products, the StompLight Li Ion Power Bank and StompLight Pal slave allow an artist to create stage lighting anywhere in seconds. Portable and built to last, StompLight is the world's first effect pedal that is DMX512 compatible. Designed to work as either a stand-alone lighting solution or in concert quickly connecting with the StompLight® Pal or any existing DMX512 lighting products. Learn more at: www.StompLight.com. 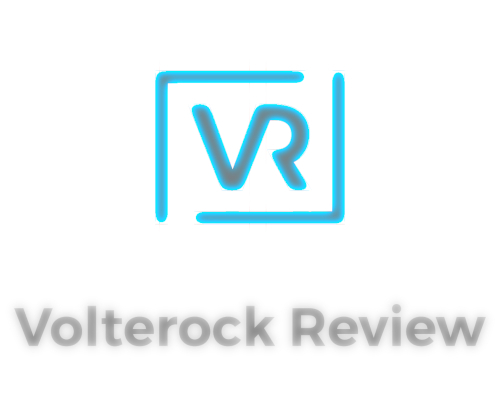 June 8, 2017, Berlin – Native Instruments today released REAKTOR Blocks 1.3, a substantial update to this acclaimed virtual modular system, provided with REAKTOR 6. Free for existing users, Blocks 1.3 introduces a new Blocks family: Kodiak. These five modules are not modelled on specific hardware. Instead, Kodiak modules combine analog character with digital power. Duality OSC is a dual oscillator that adds innovative wave-shaping to Blocks. It offers phase-, frequency-, amplitude-, and timbre-modulation, and is ideal for growling basses, vibrant leads, and rich percussion. Shift Sequencer is an unconventional step sequencer. It has independent sequence-length and direction controls for pitch, octave, velocity, hold, and gate, making polyrhythmic sequencing easy. Curve Sequencer takes a modern classic – MASSIVE’s stepped modulation sequencer – and places it in the Blocks rack. It enables complex stepped modulation, perfect for electronic music. Morph Filter delivers a triple-resonant filter bank designed to morph between settings for vowel sounds, chords, or percussion. Flip Gen is a versatile tone generator and experimental noise source. 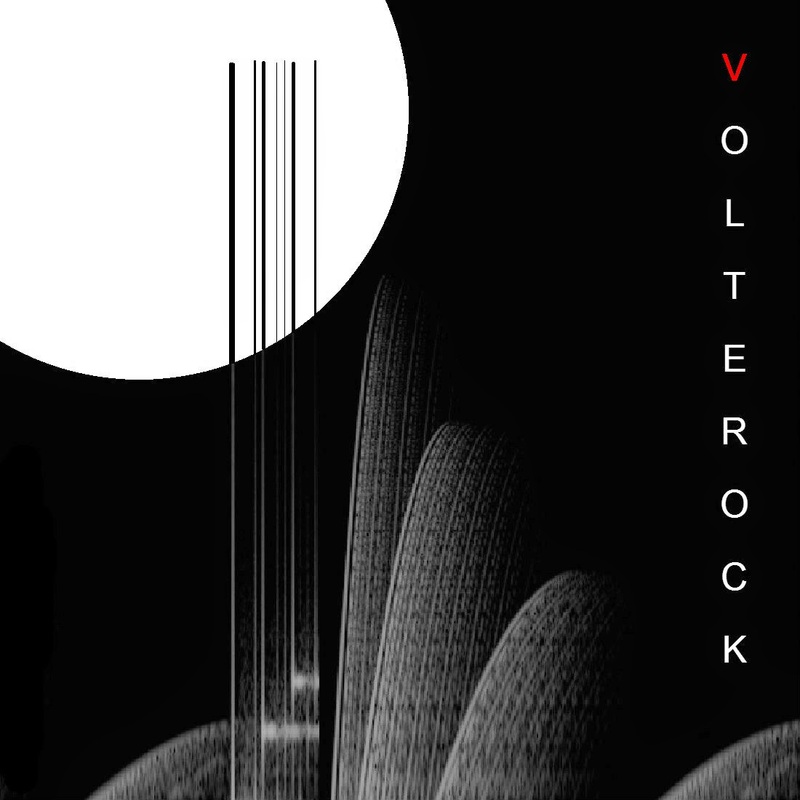 It is perfect for generating bleepy sequences, bell-like FM, morse, pitched noise, crackly textures, and for use as a creatively random modulator. Blocks 1.3 also includes five new ensembles – each one a powerful new synthesizer in its own right. 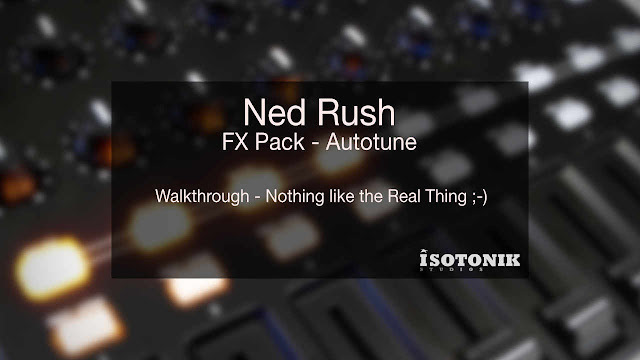 They showcase the five new modules, with over 195 new presets, covering everything from self-generating polyrhythmic techno grooves to Daft Punk-style vowel-filtered leads. Blocks 1.3 is part of REAKTOR 6. REAKTOR 6 is available for purchase now at the NI Online Shop for $199 / 199 € / ¥ 24,800 / £169 / AU$279. Existing REAKTOR 6, KOMPLETE 11, and KOMPLETE 11 ULTIMATE owners can download and install the update using Native Access. 2) Conveniently positioned within the receiver rack, the modular L 6000 charging unit recharges up to eight transmitter batteries. The four modules can be chosen according to the required battery type – BA 60 for the handhelds and BA 61 for the bodypacks. 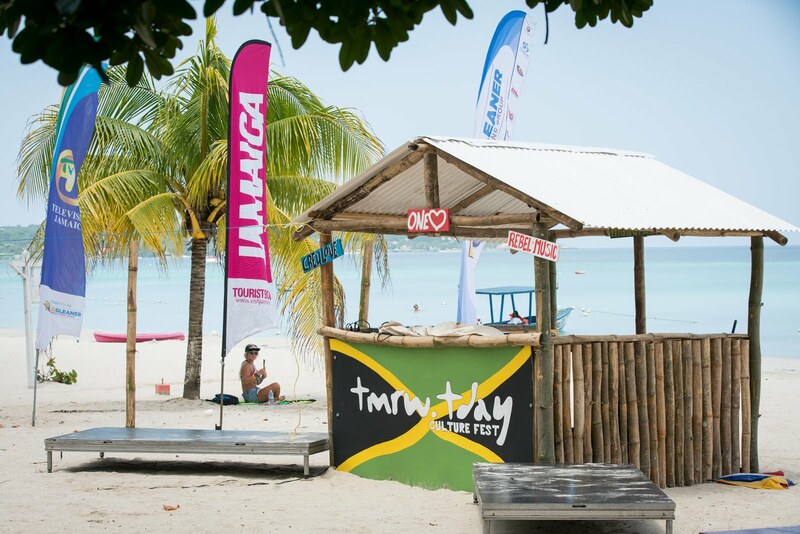 Tmrw.Tday Culture Festival - Negril, Jamaica - Journey down the coast from Montego Bay, a path engulfed by pristine, white beaches and turquoise waters that lead into the coastal town of Negril, where locals and visitors alike sought a better Tmrw.Tday for one inspiring week this past May 17-23. The inaugural global gathering Tmrw.Tday Culture Fest laid its roots along the famed 7-mile beach and picturesque limestone cliffs of Negril, inviting participants to achieve a more conscious lifestyle, placing an emphasis on music, wellness, gastronomy, and environmental activism set against the backdrop of one of the world’s most coveted travel destinations. Scattered along the beach and in the surrounding resort town, vibrant outdoor venues sprang to life shrouded by palm trees and exotic greens primed to host a wealth of workshops, fitness classes, and, of course, a world-class selection of international musical acts and native talent alike. Crystal clear skies and glimmering waters met the shores of Irie Soul Beach each morning, homebase to Tmrw.Tday and host to the myriad of daily activations offered. Ranging from meditations to beachside bootcamps, the offerings spanned the fitness spectrum. 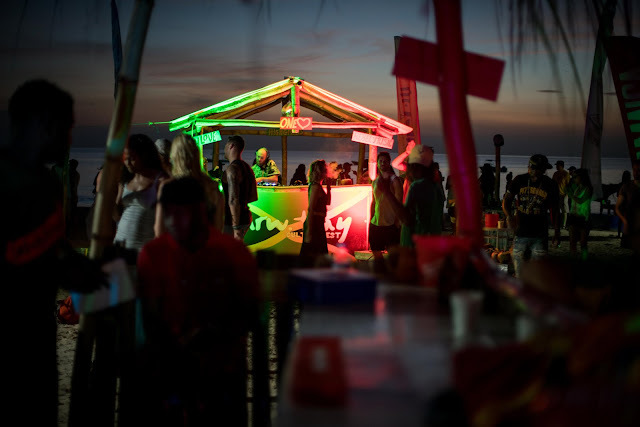 Taking place underneath colorful awnings on the sand, participants engaged the mind, body and spirit alongside unobstructed views of endless ocean waters. Official Reggae Ambassador for Tmrw.Tday, Chris Blackwell played host to an intimate evening with Gabre Selassie at The Sands at Caves Hotel on Monday evening to close out the main musical offerings for the week. Owned by Blackwell, The Sands were transformed into the Dub Cave, an ode to Selassie’s weekly Kingston event and the only spot in Negril to groove deep into the early hours of Tuesday morning to soulful reggae & dub sounds. Those adventurous enough to wander down the winding cliffside staircase to the coral reef caves below found themselves immersed in candlelit caverns, where bartenders served up cocktails while a tribal drum circle and dancers vibrated the floor with pulsating sounds. Giving a nod to A destination unlike any other, the pioneering festival Tmrw.Tday will return in 2018, inviting wanderers from across the globe to join the movement TDAY for a better TMRW. Stay up to date with the latest Tmrw.Tday news via the event website - 2018 dates + festival information TBA soon! Berlin, June 1, 2017 – Native Instruments today launched their ‘Summer of Sound’ sales special. This special offers the ideal opportunity for new and existing NI customers to equip their studios with the latest KOMPLETE production tools. 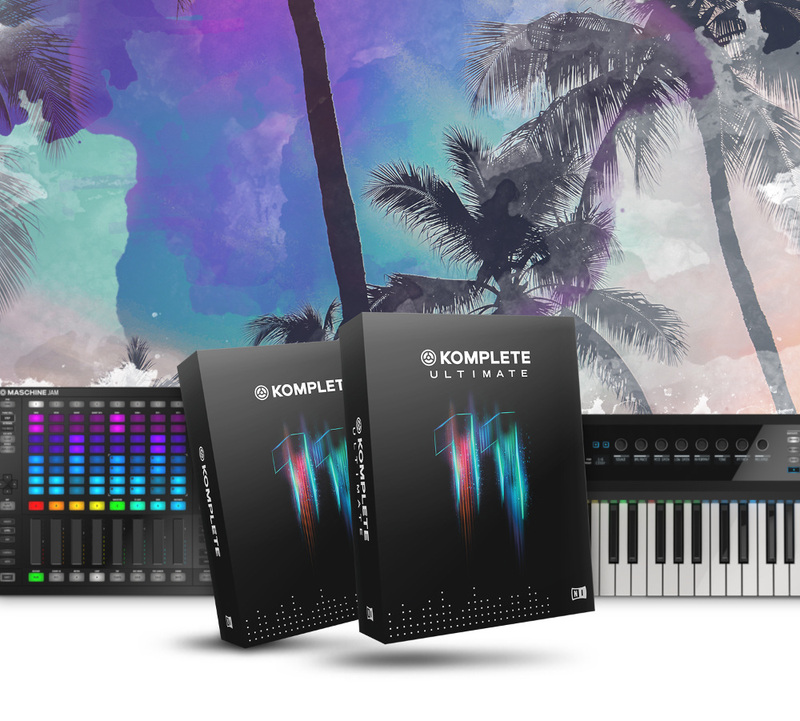 Until July 2, 2017, customers can access special deals on hardware/software bundles, combining NI’s acclaimed KOMPLETE 11 and KOMPLETE 11 ULTIMATE production suites with KOMPLETE KONTROL S-Series keyboards or MASCHINE hardware. Existing users can seize the opportunity to step up to the latest KOMPLETE generation, with 50% off updates, upgrades, and crossgrades. For example, owners of KOMPLETE 8-10 can save 50% on the update to KOMPLETE 11, or the upgrade to KOMPLETE 11 ULTIMATE. This special offer is valid until July 2, 2017, at the NI Online Shop and at participating retailers worldwide while supplies last.